A limited hardcover edition of the Rosicrucian Trilogy is available. Production specifications include acid-free paper, smythe-sewn book block, colored endpapers, head- and tail-bands, and a cloth case with foil stamping under a full-color jacket. Be one of only 500 to own this exclusive book! 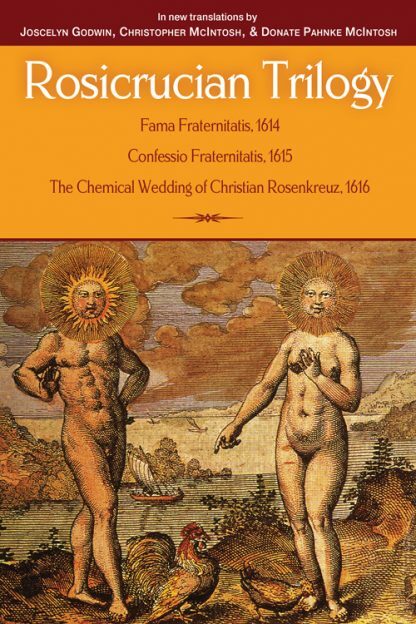 The Rosicrucian Trilogy features modern translations of Fama Fraternitatis (1614), Confessio Fraternitatis (1615), and The Chemical Wedding of Christian Rosenkreuz (1616) with 30 original illustrations by Hans Wildermann. Four hundred years ago, the publication of these 3 anonymous documents launched the Rosicrucian movement. The story of Christian Rosenkreuz and his secretive order, as told in the Fama Fraternitatis, had political repercussions that continue to this day, while The Chemical Wedding is a landmark in European fantasy fiction. This present book offers the 3 founding documents in reliable, readable, modern English. Fully annotated and with modern introductions, these new translations explain the historical context, shed light on the beginnings of the Rosicrucian Order, and bring this fascinating material to a wider readership. Donate Pahnke McIntosh is a scholar of religion and, as a lecturer at the University of Bremen, specialized in Gender Studies, Esotericism, and Ritual. She runs the Selene Institute for Ritual in Bremen.